Uxbridge UB Home & Office Junk Removal | Quality Property Care Ltd. Call the helpful customer care service or contact it online, with a description of the junk you need removed and disposed of, and you will receive a preliminary estimation of the rate of the junk removal service. Junk removal services from Quality Property Care Ltd. is available for you. The supportive and helpful professionals work every day - with no exclusion for week-ends or bank holidays. You can arrange an express service or to name your individual instruction about the procedure. If you have any worries about the stuff, we give a free meeting with free tip on the organization. Contact our professional rubbish removal client support representatives right away! Use this phone number: 020 3746 4287 to find more detailed data or to set up your junk removal service. Note that we are available for express services. Re-scheduling is possible and absolutely free. 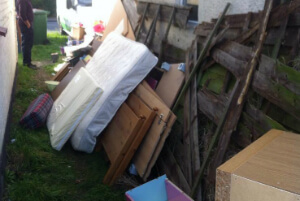 For homeowners we can accommodate any size of rubbish removal, from a few boxes and packages to a big load of junk. All of the materials we remove of will be driven to the closest location for recycle, with all of the charges and fees covering not only our labour but also any fees that apply to the proper disposal of the materials and waste. It is prefered that your junk and rubbish are all package up, but, we can deal with that as well. We can get rid of single mattresses, tables, dryers, TVs, kitchen units,, double mattresses, armchairs, 2 seater sofas, 3 seater sofas,, ovens, microwaves, king sized bed, microwaves, divan beds, washing machines, cupboards, PC monitors, mirrors, carpets, bathtubs, wardrobes, books shelves, freezers, TV stands, single beds and much more. Items like fridges and fridge doors, tires, TV’s, air conditioners, microwaves and such need more fees for right disposal. We can remove both industrial and household construction materials from sights, beginning with timber, wood, metals, plastic, glass,cement, concrete, rubble, soil, bricks, plasterboards, tiles and ceramics. Here we charge by weight for construction elements with the most typical materials being timber, rubble, cement and soil. We are also capable of removing organic and garden waste starting with grass cuttings and trimmings, soil and turf, hedges and hedge trimmings, garden weeds, plastic liners or bags, flowers and plants, litter, leaves, small branches, twigs, straw or animal bedding, Christmas decorations and trees, plant pots and a lot more. There are special collection points where we will leave these materials, however, there are special costs that you might need to handle. Our service is accommodating to your needs, whether you want a one time removal or you prefer arranging a regular visit each month or so. For business customers we have special devices, with certificates allowing us to dispose of construction materials like rebar, concrete, timber and so forth. All of our working people are up to standard with the proper training and certificates to complete a job without any problem or delays. Landlords and property managers get exclusive rates for bulk ordering even during weekends and bank holidays. The service involves domestic services, house clearance, garage clearance, garden clearance, small house appliances, loft clearance, furniture disposal, commercial services, shop clearance, Construction waste disposal service, it disposal, office clearance tire disposal as well as builders clearance and refurbishment waste disposal. We work with beds,wardrobes, sofas and armchairs, living room storage, coffee and side tables, bedside,, cot beds storage, dining tables and dining chairs storage, garden tables, shoe cabinets, racks and stands, bedside tables, dressing tables, chest of drawers, TV stands and cabinets, shelving units, mattresses,, console tables, bunk beds,desks and chairs,, playgrounds, sideboards, free-standing kitchens as well as modular kitchens. For gardens we remove chairs, barbecue, umbrellas, benches,, hallways shelf, cabinet racks and stands, hooks and hangers, walls shelves baskets and portmanteaus. 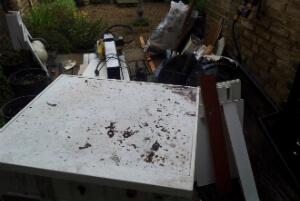 Give us a call 020 3746 4287 anytime you would like proper junk and rubbish removal from your residence. We work efficiently and fast, dealing with loads of all sizes from large to small ones. Get in touch with us at any time of the day or night, you will find proper information on our details, pricing about the removal and so on. Our crew is available free of charge, with booking form opportunity. Phone call and save not only time, but also cash and efforts.